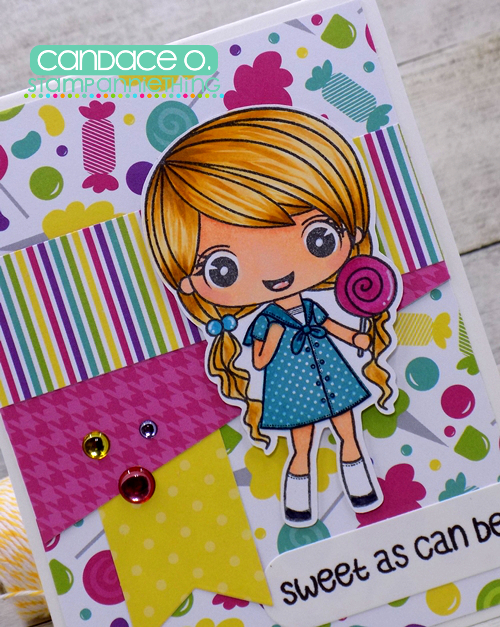 Stamp Annie Thing: Sweet as Can Be! Hey Everyone! It's Candace from Candi O. Designs and it's my day to post over at Stamp Anniething. I got this fun new paper pad from Queen & Company and Violet ~ Sweet as Can Be is just perfect with this candy theme paper!!! Check out the full line of Chibi Stamps over at Stamp Anniething Today! Have A Beary Special Day!